In this post I will give some of my personal impressions on Kiruna. 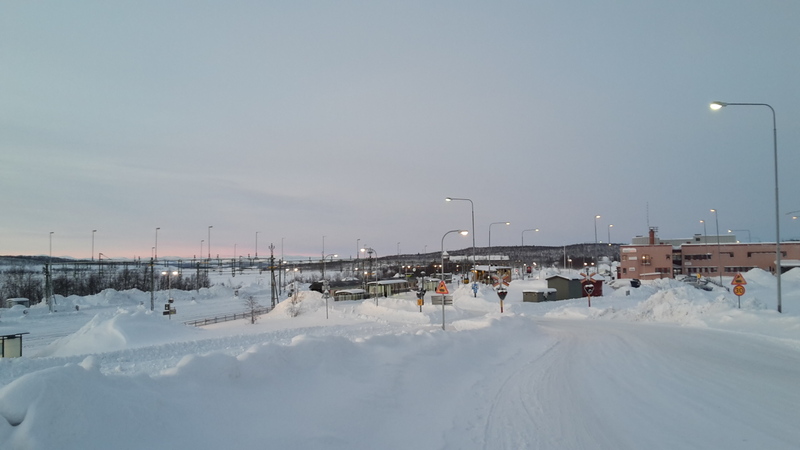 It is Swedens northernmost town with a bit less than 20,000 inhabitants. Downtown is pretty small and there are not many tourist attractions. The nicest building (in my opinion) is the Sami Church where the low-hanging midday sun gives you a nice view right now. 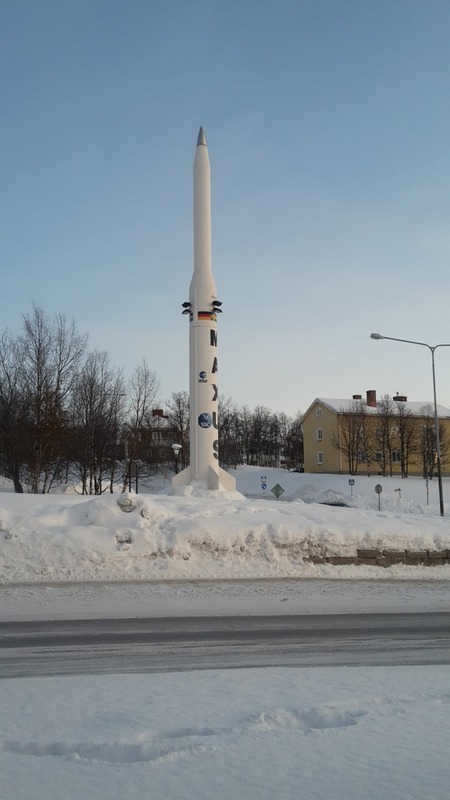 When driving around Kiruna you might also notice the rocket. ESA (European Space Agency) has a rocket launch base for MAXUS, a sounding rockets used to study microgravity (e.g. for physics or biology). 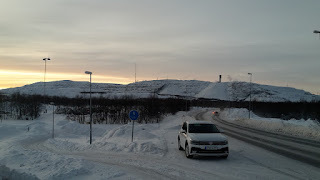 I am pretty sure, the main reason why Kiruna is so big is a large mine. It has created an artificial mountain and they even moved the town at some stage. 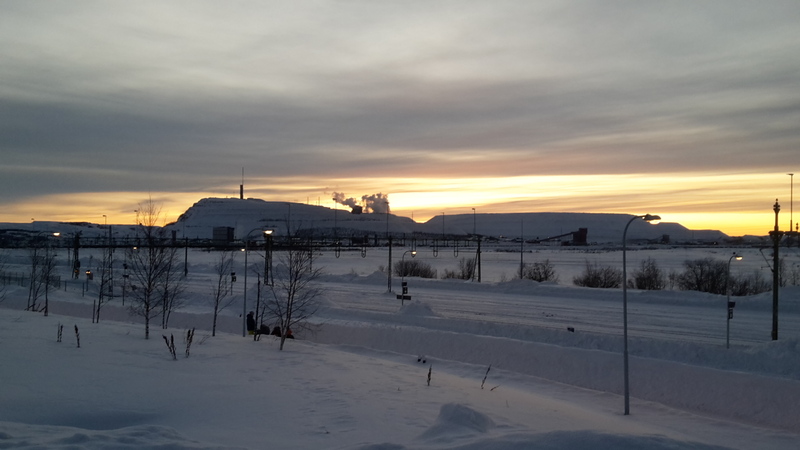 This makes Kiruna not really the most beautiful place in the region....to say the least 😉. With the large mine comes infrastructure, with infrastructure comes light and with light comes light pollution. So the reason why I started my trip here is the fact that Kiruna is by far the brightest spot on the map in an island of darkness. People here like to leave the lights on all day. Well I hope this is reducing as the days get longer. You can go skiing on an artificial (?) 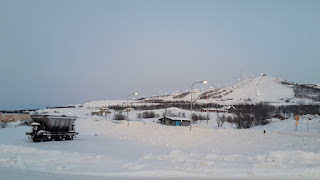 hill looking over the mine and transport hub......well I would do this elsewhere (if I would ski at all....) but for the locals its great I guess. 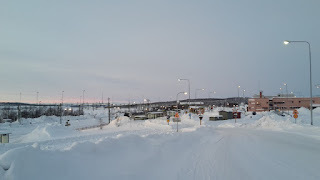 Ski area next to mine and mining railway station. Lights on all day. Railway station of mine. Lights on all day. I started my trip towards Narvik. The road neighbors the railway, the Ofotbanen mainly built to carry the iron towards Narvik (ice free harbor) in Norway. 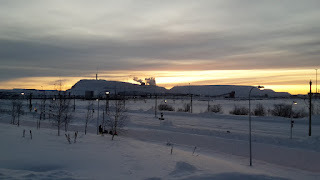 I read some time ago that one reason why Germany fought so hard in Norway was the access to Swedish (neutral country) iron from Kiruna. 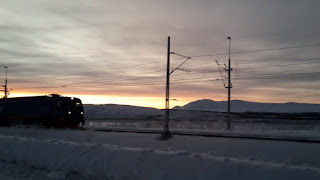 The trains are very long and as picturesque as the more legendary Siberian railway. 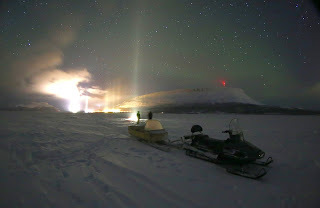 Tonight we will create our own light pillar at the middle of the lake (we got the stuff in the local shop in Kilpisjärvi). The lake is flat and we will most likely not be disturbed by cars or village lights. A 20 minutes snowmobile drive later we are on the lake, install our LED floodlight and pose for the camera. Then we switch it on and off and take images from different spots. Finally, Joonatan tells the legend oft Lake Kilpisjärvi and the landscape in the region - a legend about the giants Malla and Saana. In the end Saana (the bride) formed the lake from her tears. Read the story here. An important tool is the SQM roadrunner system. The Sky Quality Meter "SQM" by the Canadian manufacturer Unihedron is a small photometer that measures the night sky brightness. 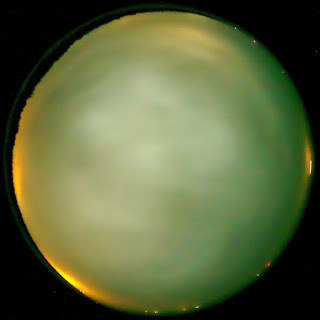 It has become the most widespread device for world-wide light pollution studies. You can get a handheld SQM and participate by uploading your data to websites like Globe at Night. The roadrunner system links an SQM (LU version) with a GPS - so you can move around and automatically track your position and the sky brightness. One can use any vehicle for that, researchers used cars or bicycles. Now I can strap it on the roof of the car.